In this section, Rhode Island State Right to Life provides information about state and federal legislation affecting innocent human life, including issues such as abortion, cloning, fetal experimentation, and assisted suicide. We give a brief description of the laws on the books and, in some cases, a link to the full wording of the laws themselves. We also describe our legislative package (bills RI Right to Life is promoting) and alert you to upcoming votes in Congress and the Rhode Island General Assembly. 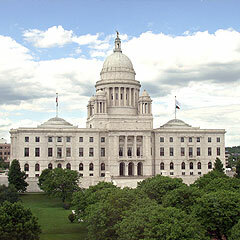 Lastly, we provide information on how to contact members of Congress and the Rhode Island General Assembly. Please contact your elected officials in support of our legislative package and upcoming legislation mentioned in the Legislative Alerts.